A large main compartment with 2 outside zipper pockets for extra storage. 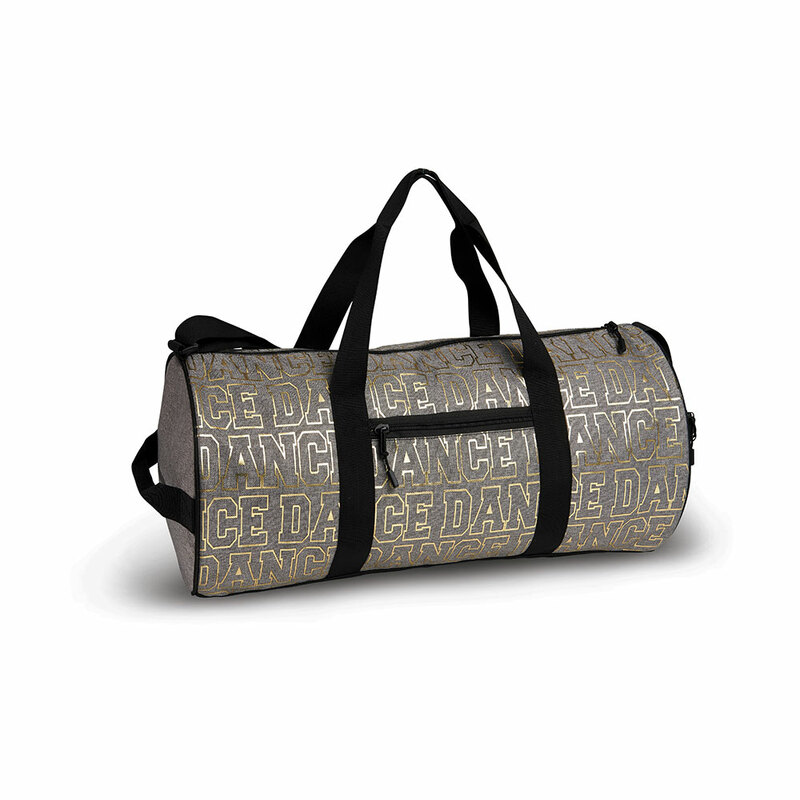 Gold foil “DANCE” screened on front. Includes an adjustable shoulder strap and water repellent inner lining. B446 – Bling It Dance!